She has been riding for over 20 years and been coming to Babes in the Dirt for the past 2! Stephanie has ridden some of our bucket list locations and constantly has us drooling over her awesomely remote photos on the trails. 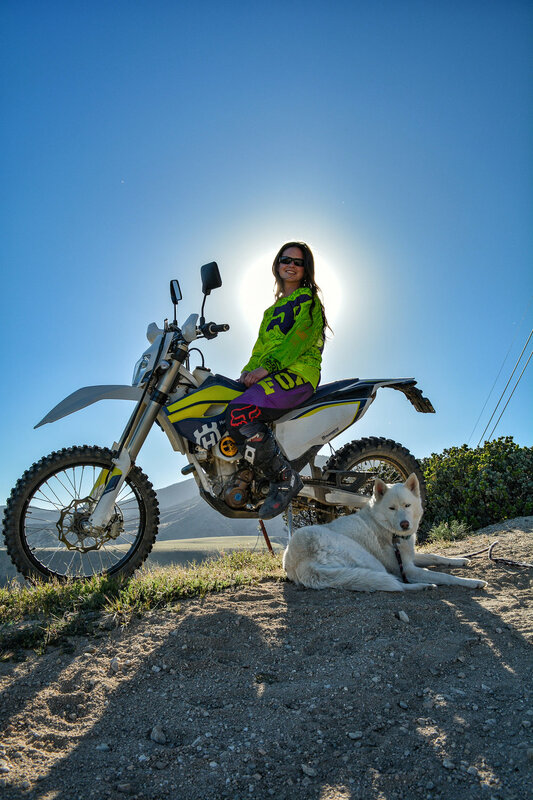 We caught up with her to hear more about her life on two wheels, love of her Husqvarna FE 350 S and her lust for the new fuel injected 2-stroke TE 250i. - Well, for a few more days I am a Property Manager of a mobile home park, but as of next week, I will be unemployed for a few months. Me, my husband, and our two Siberian Huskies, will be traveling around the country with our travel trailer and motos in search of a new place to call home and start our own business. 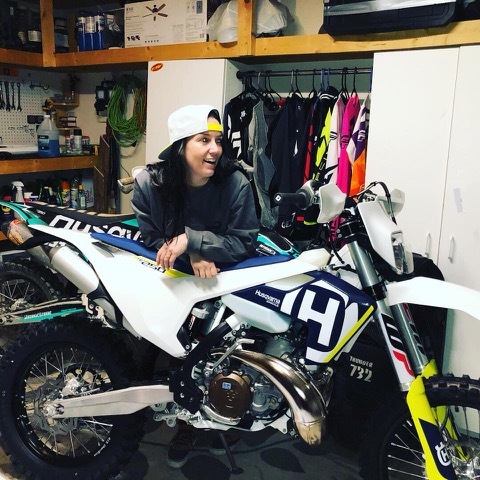 - When we moved to Temecula in the mid-90’s, dirt was pretty much everywhere, so I was lucky enough to make friends with kids in school that grew up riding quads and dirt bikes. Unfortunately, my parents never let me have my own dirt bike as they were always worried I would seriously injure myself (which, now that I’ve crashed at least a dozen times and broken my fair share of bones, I can see why J). So I spent most of my younger years on a variety of friend’s loaner bikes cruising around the wine country and out in the southern California deserts (Ocotillo Wells/Glamis). - About 20 years, but more actively for about that last 10. - I like riding dirt for too many reasons to list! But one of the main reasons is that it opens a whole new world of places to go and things to see. There’s no better feeling than being able to take a spontaneous trip down a random dirt road and find that it leads to a secluded lake, or takes you to the top of a mountain with 360-degree views. Not to mention, you can take dirt detours when there is traffic J. - A new fuel injected 2-stroke Husqvarna, of course ! Actually, as much as I would absolutely LOVE a new TE 250i, I would really like to add more of an adventure bike to the collection. Our ultimate dream is to take an international motorcycle trip, and having a bike that can still handle dirt, but also be able to put down some serious road miles with a full load of camping gear would be optimal. What exact bike that is, I really have no idea yet, but I am hoping over the course of the next 5 or so years, manufacturers will continue to cater to smaller riders such as myself, and I will have more options. 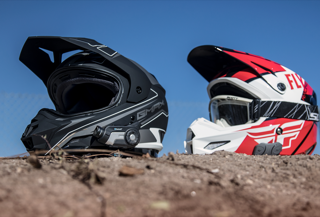 - The FE350S is the ultimate adventure mobile! There aren’t a lot of motorcycles that you can say are completely capable in (and meant for) the dirt, but also street legal. We can be on technical single track one minute, and then cruising the highway through Yosemite the next. The places we can go are almost endless! Also, because of fuel injection!!! You just can’t beat being able to ride at 8,000ft. elevation one day, and then 800 ft. elevation the next without skipping a beat or needing to re-jet (it was a serious problem when I had the CRF150R which was carbureted). - Hmm, that’s a tough one . . . I really love it all!!! But if I had to narrow it down, I would say snow. I’m not the best at it, and to be honest, I used to try to avoid it, but I’m slowly getting more comfortable with it and it couldn’t be more fun. - Definitely rocks . . . Being vertically challenged, I am still working on clutch and throttle control to account for the fact that I can’t ever reach the ground to put my darn foot down J. Thankfully, I finally did some much needed upgrades to the suspension and steering, so hopefully my skill level will catch up to my confidence level sometime soon ha. 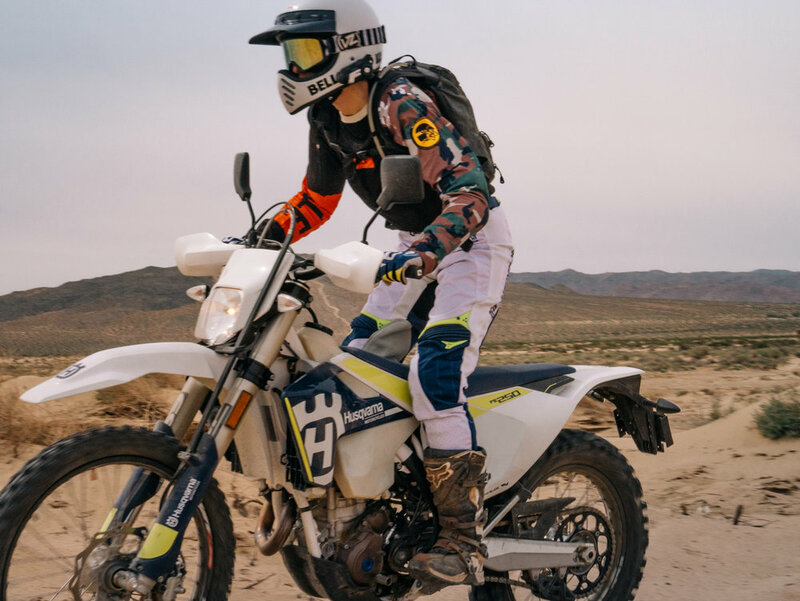 - When we first got the Husqvarnas, we had some friends visiting with their dirt bikes so we decided to take a trip completely in the dirt from Mammoth Lakes to the ghost town known as Bodie. It was about 65 miles one-way through all kinds of different terrain. We hadn’t owned the bikes for very long, so I didn’t have the bike set-up and dialed in specifically for me just yet. We hit some really deep and soft sand/silt on the backside of Mono Lake that just seemed to go forever, so I was struggling for a while to keep the front end stable, and then proceeded to take a literal face plant into an actual plant J. I was too worked to go back home the same way we came, so I also go to experience my first solo ride on the highway, and at night too. It was definitely a trip I will never forget! - Definitely right here in my own backyard! The Eastern Sierra is packed full of places to ride, with everything from mellow fire roads and sand dunes, to tight single track and even snow. 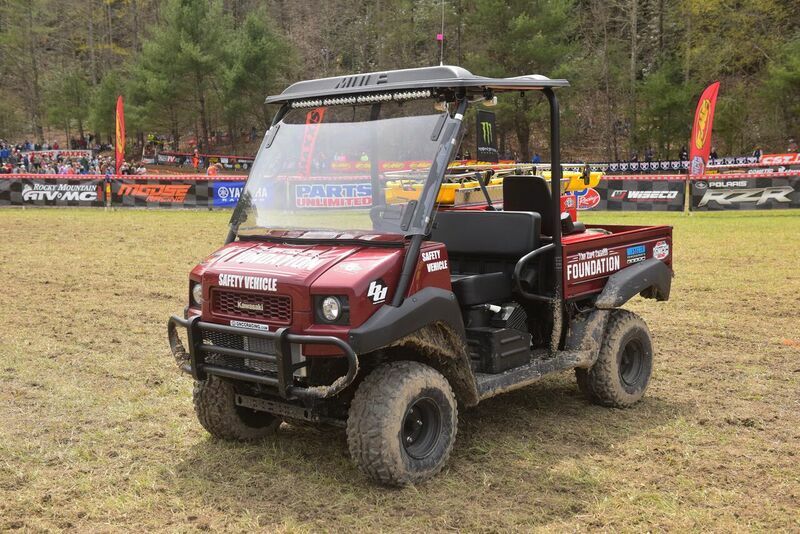 It really is an off-roader’s paradise! And the views aren’t too bad either J. I also really enjoyed the moto tour we took in Maui. It was one of those once-in-a-lifetime experiences and the terrain was like nothing I had ever been on before (we went through a sugar cane field that was so dense we couldn’t even see the actual trail). We were fortunate enough to be the only two riders on the tour that day (which was usually a group tour), so we got really lucky and the tour guide took us on an epic journey which ended so high up that we found pine trees! - Unfortunately, no L. My few female friends that do ride live about 6 hours away, and not a lot of women in our area have motorcycles. 99% of the time it’s just me and my husband, but I am really hoping that will change. I have been fortunate enough to cross paths with some super cool ladies thanks to Babes in the Dirt and Instagram, who I would love to get together with someday soon. - Megan Griffiths . . . girl seriously rips and is ALWAYS smiling. She really makes everything looks so easy but is always so humble about it. She is so passionate about riding and it shows! I really hope to someday be able to attend one of her clinics and learn to go over logs instead of crashing into them J. Also, because I struggle so much in the rocks, Sarah (aka @spacecat.moto) . 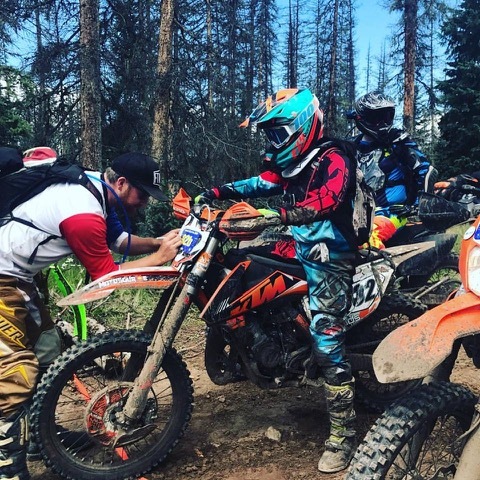 . . lady KILLS it out there in Utah in some truly epic terrain! Pretty sure she eats rocks and vertical walls for breakfast J. 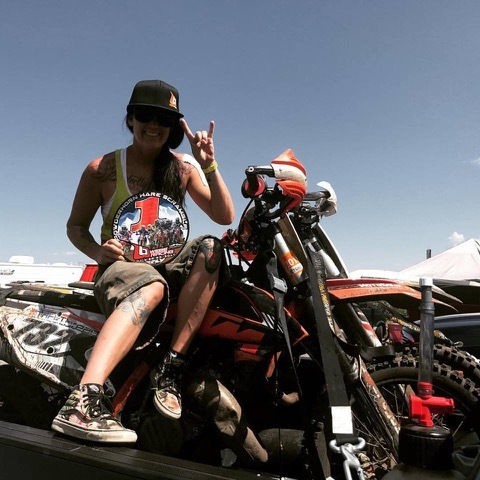 - I made it to Babes in the Dirt both this year (2018), and last year (2017). Although I always bring my husband and fur kids so we always camp outside of the actual event, it’s still one of my favorite weekends of the year. The first year, I was solo and ended up crashing attempting to go back down the big hill climb (ha oops). Within seconds there were several people more than happy to help get my bike upright and down to the bottom. One of the nicest Park Rangers I have ever met found some ladies to bring my bike back to the road, went and tracked down my husband who was cruising around in my 4Runner, brought me back to the main camp, and treated my wounds. The Babes in the Dirt staff and many of the other ladies there for the event kept coming up to me and asking if I was ok or if I needed anything. It was so awesome to be completely alone and not know anyone, but still feel welcomed and right at home. This year we could only make it for a day, but it was still an epic day of riding and I even convinced my fellow female rider friends from San Diego to attend as well (and they loved it). From the most experienced rider to the first timer, it really is an event that can be enjoyed by all. - Take it slow and start off with something nice and mellow. 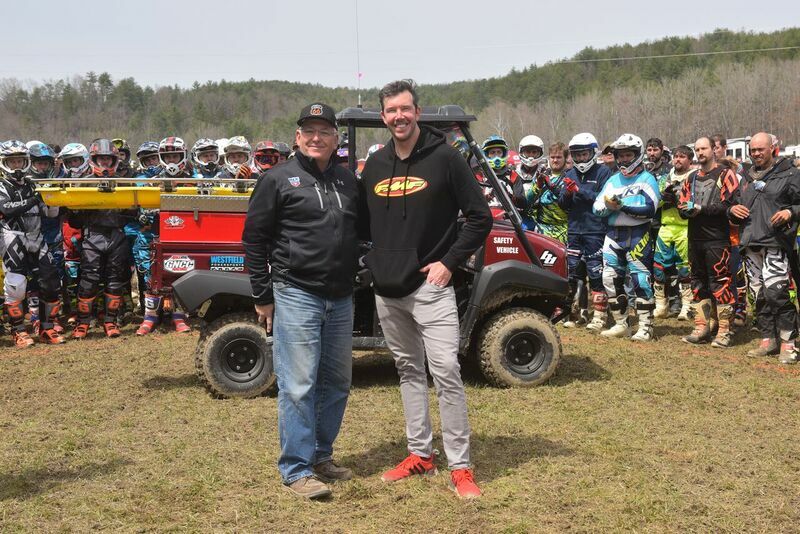 There are all kinds of fire roads and open riding areas to practice at that are great places to get a feel for the dirt without having to worry about obstacles or other riders. As someone who learned to ride in the dirt before learning to ride on the street, I can tell you there is a learning curve both ways, so just do what you feel comfortable with and practice, practice, practice. And remember, you don’t have to be a pro to have fun!